Quickly add a mobile friendly and secure checkout experience to your existing website. UltraCart Buy Buttons allow you to quickly and efficiently add products to your existing website. Buy buttons are compatible with all major content management systems like Wordpress, Joomla, and Drupal. All the power of the UltraCart checkout behind a simple to embed buy button. 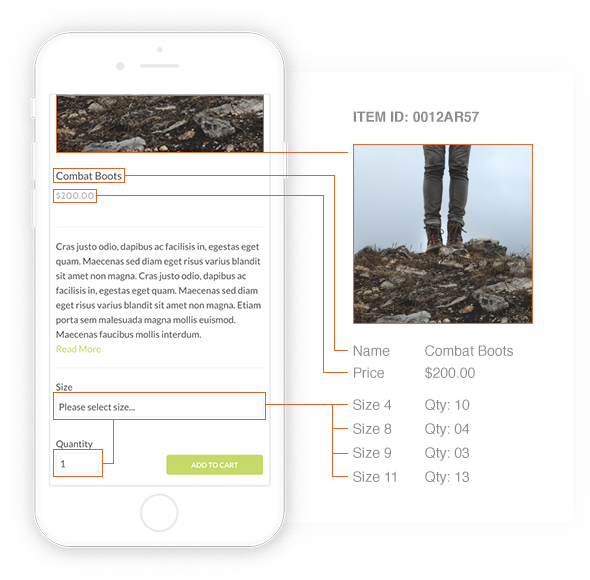 Completely Customizable Build any checkout flow and layout that your business needs. PCI Compliant Using our hosted field technology your checkout is PCI compliant without losing any functionality.